Height: 31.75" Width: 17" Base: 8" square --MADE TO ORDER ONLY -- Delivery 8-16 weeks--PRICE inclusive of all freight, duties and taxes as well as rewiring to Australian standards-- Domestic delivery available.--No returns. 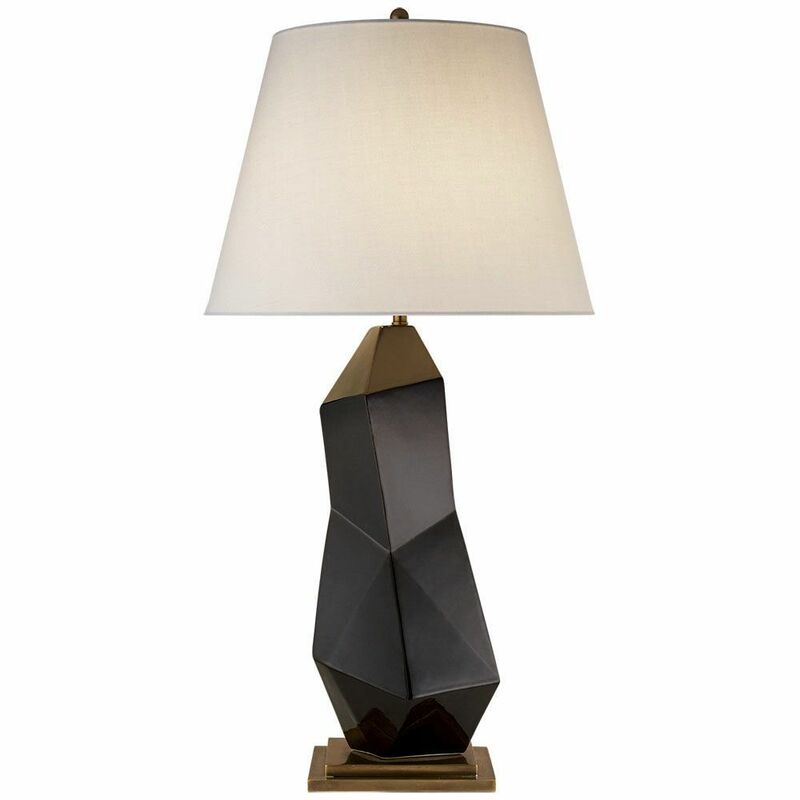 An iconic design born out of Kelly’s love of figural art and hand carved stones, this unique Table Lamp features her signature fractured motif. A timelessly chic piece that is the picture of modern refinement. Height: 31.75" Width: 17" Base: 8" square Socket: Dimmer Wattage: 150 A Shade: 11" x 17" x 12.25" with Round Linen Shade Please note light bulb is not included By Order only. Delivery 4-16 weeks unless in stock. Please call us on 02 83569999 for all enquiries.